Many of us live in fear of losing our data. It's valuable and losing it can result in a lot of time and expense. If it involves personal memories this can be really upsetting as well. Hardware can fail and computers can be lost or stolen. While you may be able to resintall operating systems and operations, your data could be lost forever. We are currently working with DeepBlue Backup who offer cloud backup for individuals as well businesses. This means backing up PCs, Macs etc, on Windows, Mac Os, and Linux), as well as server backups, Exchange, Vmware, even cloud to cloud e.g., Office 365. They can also can arrange full disaster recovery. DeepBlue Backup enables individuals and businesses to have their own personal backup account which they can access from anywhere using their private login. 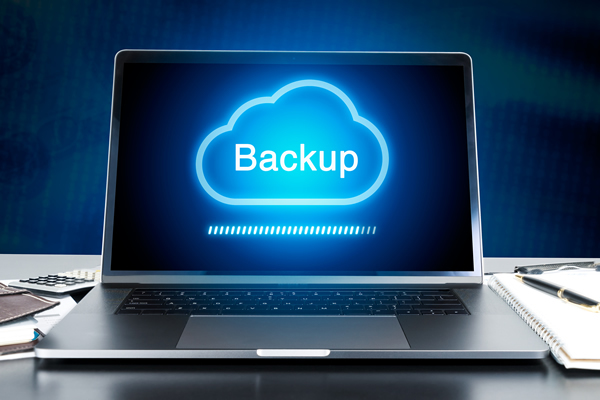 Using the backup client software you create backup sets ( e.g., select files and folders or servers etc for backup), which are then scheduled to run at set times to ensure the latest data is always saved to the cloud. The software also allows for backups to local removable storage and to the cloud simultaneously. The cloud data is replicated across two UK data centres, with full GDPR and ISO27001 compliance. All data is backed up using 256 bit encryption with 'no knowledge' status (i.e., data is not accessible to 3rd parties - unlike the hosting backups). For the most part, customers are likely to require the basic cloud backup where the cost is only down to storage used: 10p per GB per month. The encrypted local backups are free and there is no licence fee as such for this service. Client software can be installed on any number of devices. The other services of Cloud to Cloud and DR have different pricing structures. DeepBlue is offering a Free 14-day trial. Sign up here.